Publisher: Sony. Developer: Polyphony Digital. 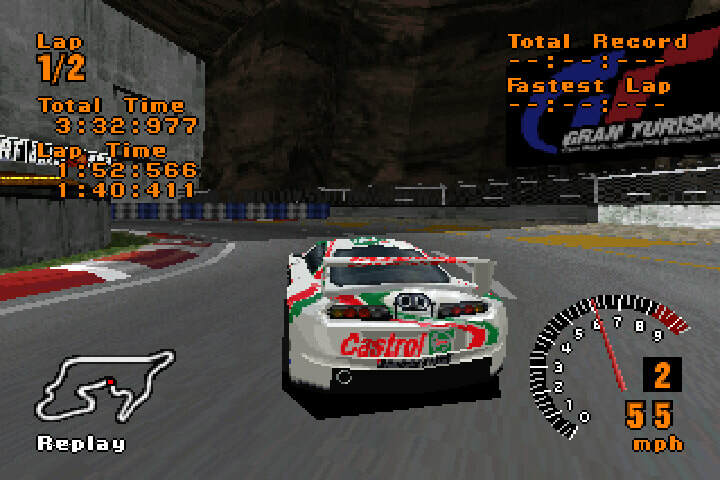 Confession time: when I was growing up, I really enjoyed Gran Turismo’s endurance events. I’m lead to believe this means I'm a bit weird, and I admit, no one I’ve spoken to has offered anything but painful memories of the pursuit. 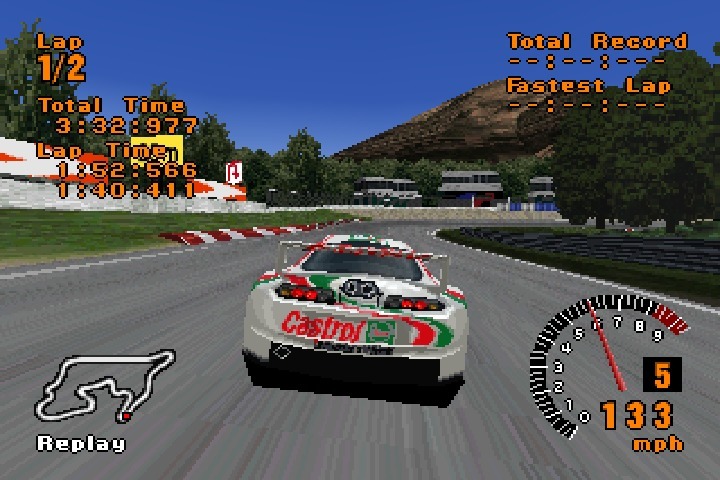 In the days of the original Gran Turismo, before the endurance events would become absurdly long (four long-haul events back-to-back, GT4?!) 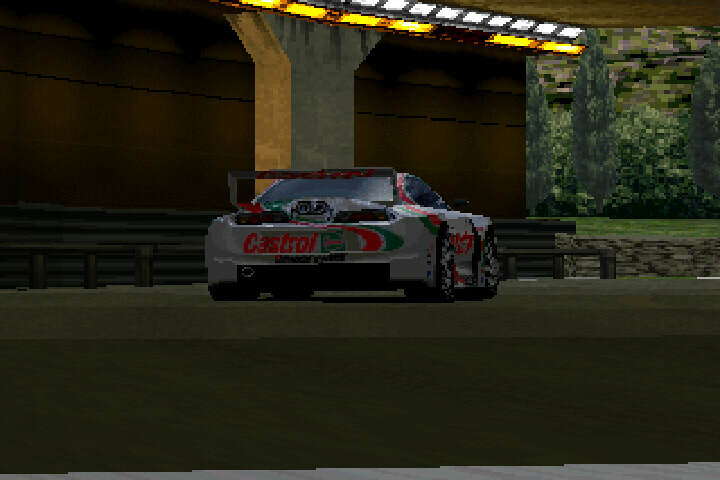 and then comically short (twenty minutes does not an endurance race make, GT6), they were modelled to reflect their real-world counterparts, typically lasting around two hours. 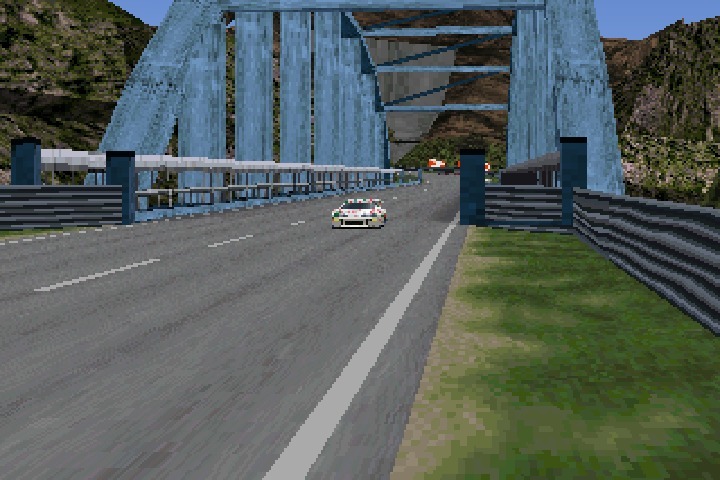 If you were able to attain the infamously tricky International-A license on the original game, or (whisper quietly) used one of those downloadable saves that granted you millions of credits and all the races helpfully unlocked, then chances are your first encounter with such events would have been the 300km of Grand Valley Speedway. 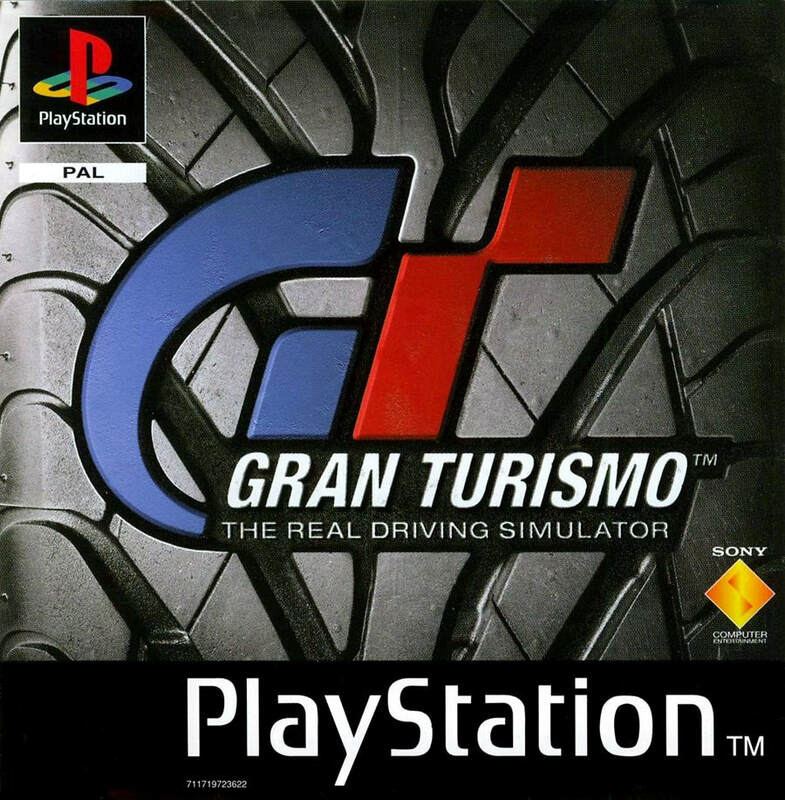 Gran Turismo, if we’re honest, was never really about the wheel-to-wheel competition. People complained vocally at the time that it wasn't gifted with the kind of damage parameters that made Destruction Derby 2 such a hit, but GT was about driving, not crashing. The competitive racing element was troubled somewhat by the metronomic behaviour of the competitors and scandalously overt use of elastic A.I., which would regularly result in hatchbacks keeping pace with supercars. But that’s all forgiveable. Its greatest triumphs lay in its cars and its circuits, the pure driving element. Mastering a track, achieving a perfect lap, it was easy to lose yourself in such a process, and with Trial Mountain and Autumn Ring also genuine classics of the genre, GT proved an embarrassment of riches. However, there was no finer opportunity to test your racing mettle than Grand Valley Speedway. 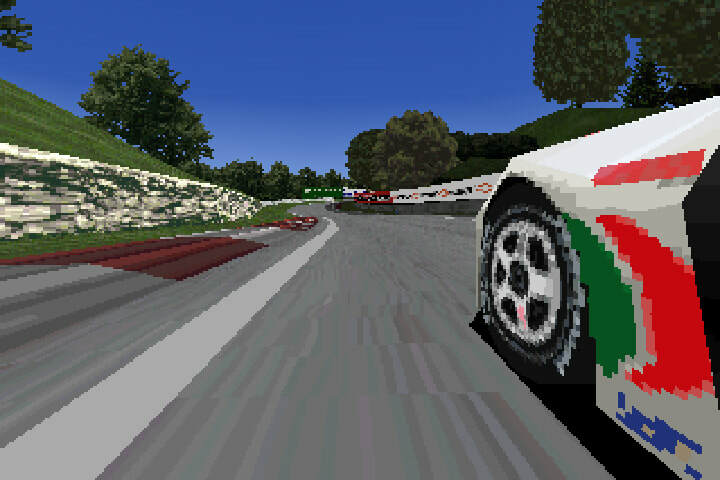 "Polyphony created a track with a little bit of everything; hairpins, chicanes, thrilling sweeps and, in a nod to Ridge Racer, the game whose racing crown it was so boldly about to usurp, there’s a trio of tunnels and a bridge too." ​Grand Valley Speedway is, in a game replete with excellent creations, its crowning glory. A circuit so convincing, I spent the better part of my childhood in the seemingly safe assumption that it was a real place, probably entertaining lucky fans somewhere around the west coast of the United States. Shows what I knew. 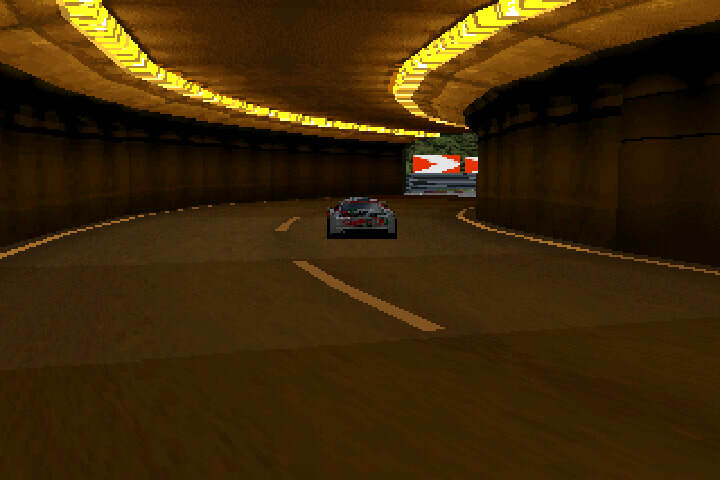 Polyphony created a track with a little bit of everything; hairpins, chicanes, thrilling sweeps and, in a nod to Ridge Racer, the game whose racing crown it was so boldly about to usurp, there’s a trio of tunnels and a bridge too. #8: ...One more gentle right-hander and it's back to the start-finish straight. If you've survived these eight steps unscathed, then all than stands between you and endurance glory is repeating the feat 59 more times. Good luck! Polyphony Digital even saved a bit of technical wizardry for its first corner. Those who remember the dreaded license tests will likely also remember the adverse camber of the opening right hander, which sees the player’s vehicle pulled away from the entry point of the corner under braking, towards an inviting gravel trap. Thus the line of your high-speed approach was crucial, as snatching a brake would see the car spearing off. 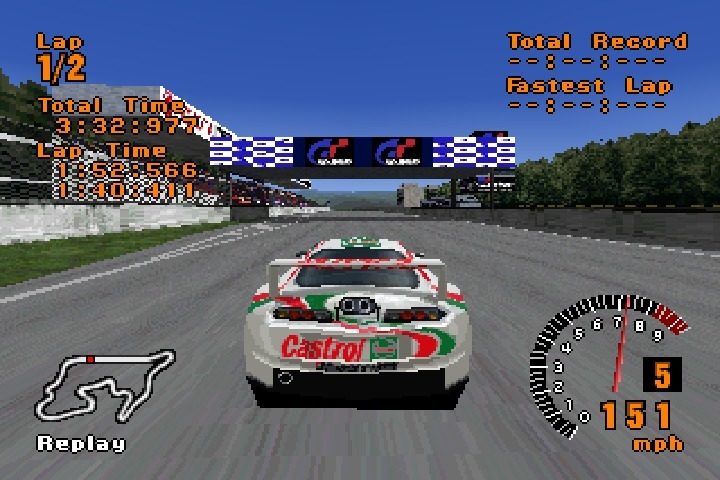 A significant part of Gran Turismo’s appeal, particularly during its early instalments, emanated from its new, fictitious-but-realistic circuits. 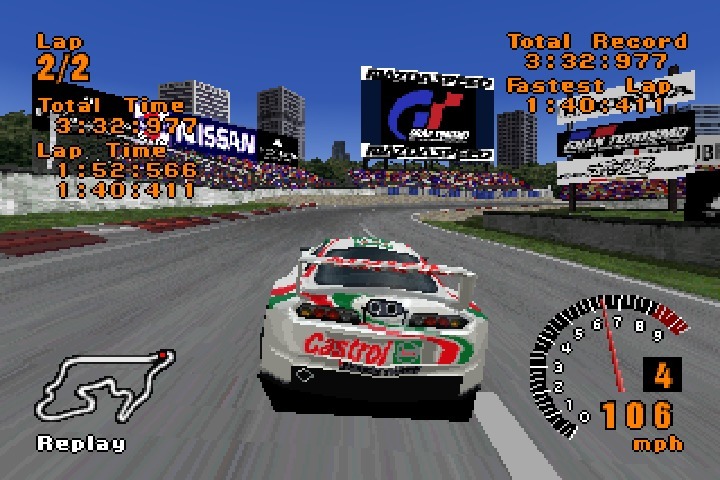 After all, fantastic as Suzuka, Spa-Francorchamps and the like are to race on, its increasingly difficult to drum-up fresh enthusiasm for race tracks that appear in such a vast number of similar games. It’s telling that Grand Valley Speedway, for all the leaps in technology that GT has enjoyed over the last twenty years, has barely changed a jot. 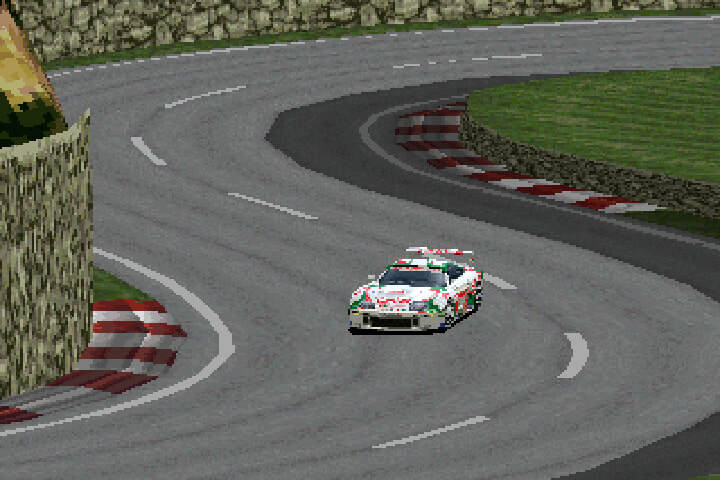 This certainly seems to suggest that Polyphony, a developer renowned for their meticulous nature, were definitively happy with the original layout: it’s appeared in every mainline Gran Turismo game since. 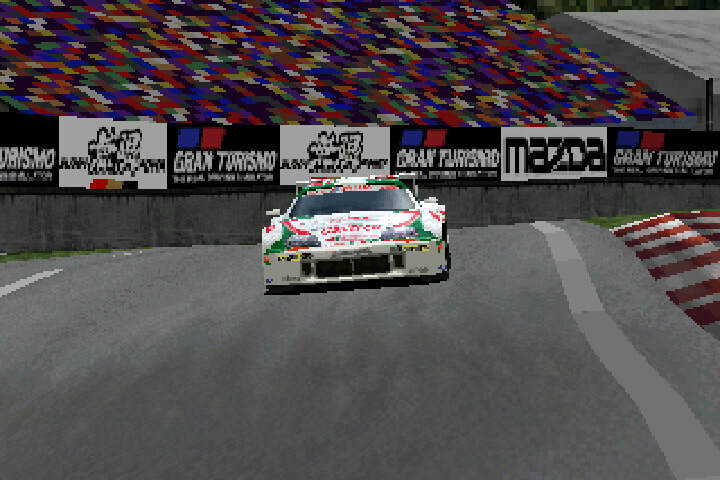 In the days before traction control, ABS, steering assists and racing lines allowed games to do the driving for you, and flashbacks removed consequence from a player’s mistakes, the 300km of Grand Valley proved an epic, white-knuckled racing ride. As the laps tick by, you begin to anticipate where the car might get skittish, how particular care must be taken braking on downhill sections, and how acceleration must be moderated through the bumpier sweeps and crests. Bit by bit, the laps start to come together; you begin to carry more speed through tricky sections, meeting the apexes, riding the curbs and catching the drifts. 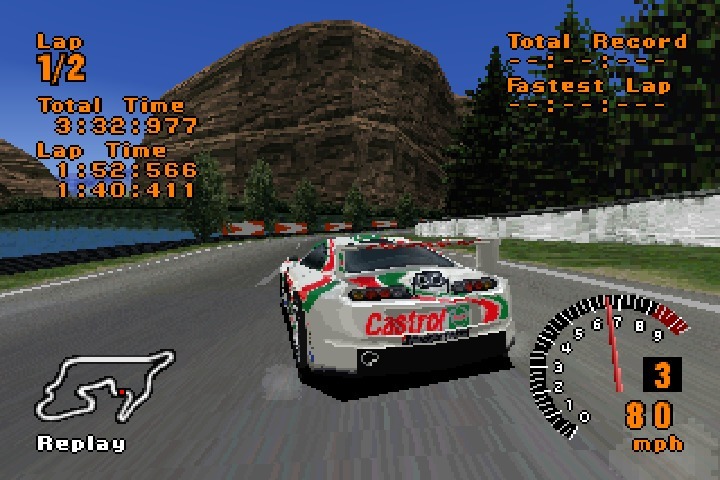 The 300km race is perhaps the ultimate test of a Gran Turismo player who, after battling for dozens of hours through a variety of disciplines, learning the courses and getting to grips with ever-more powerful machinery, could test their wiles on a track that, with its relentlessly challenging nature and an element of tyre management, required supreme concentration to conquer. 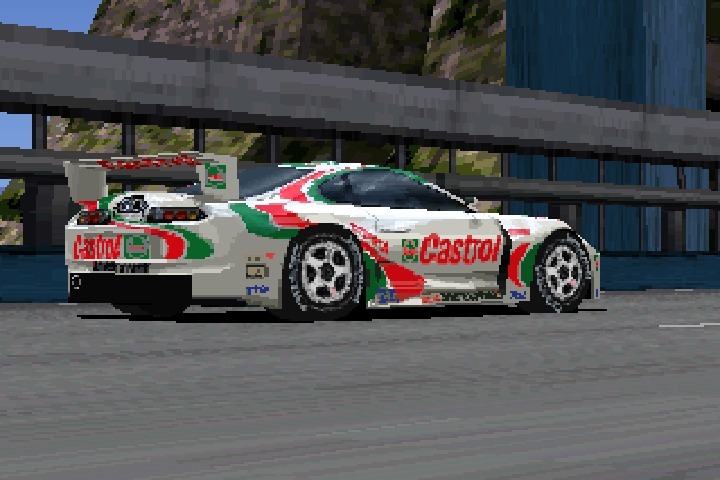 The sense of accomplishment upon crossing the finish line is palpable, and because its Gran Turismo’s own creation, Grand Valley Speedway is truly an experience that cannot be replicated elsewhere.